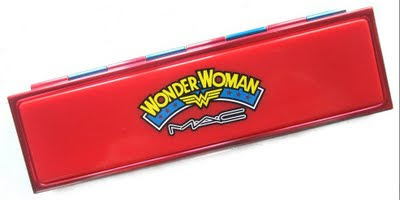 The Mac Wonder Woman Collection came out a little while ago. 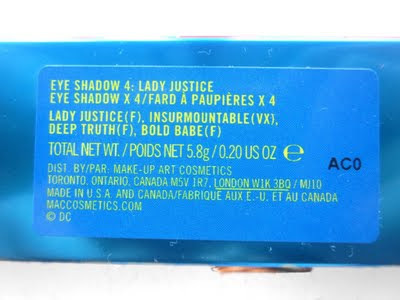 I'm not quite sure when though, there are still a few products you can get from this collection at MAC still and the Lady Justice Palette is one of them. This palette consists of two blues, a grey (on the website its described as a dirty blue), and a white shade. The reason I purchased this palette was because Mother's Day was coming up and my mom LOVES her blues and won't stray away from them so my sister and I just decided to get her nicer makeup with her favorite colors so this was a great choice. The white is a frost, the grey is a veluxe pearl (I would say its matte), the bright blue is a frost, and the dark blue is also a frost. 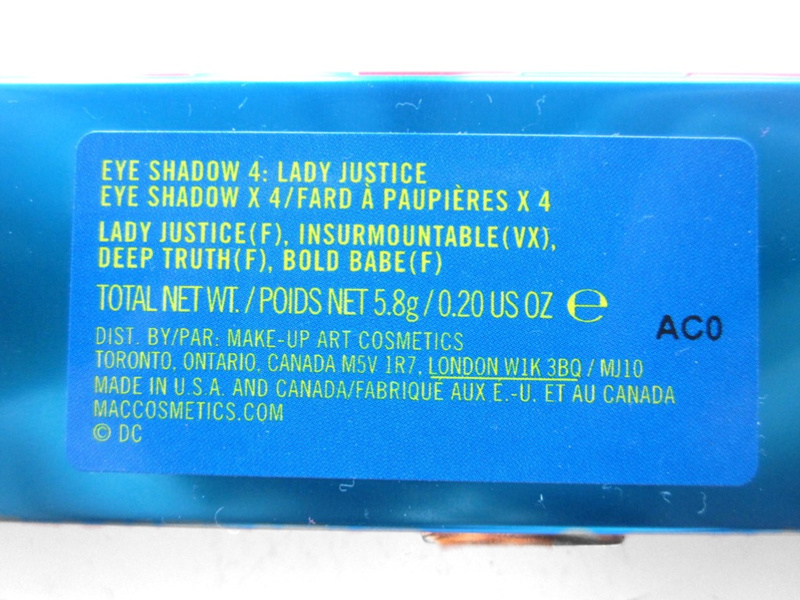 The shimmery white is called "Lady Justice", the grey is called "Insurmountable", the bright blue is called "Deep Truth" and the darker blue is called "Bold Babe". 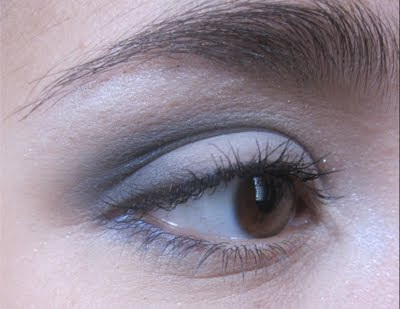 The grey and blues are nicely pigmented but the shimmery white definitely lacks in the pigmented department. It's basically pure shimmer but not much comes off. You really have to dig your brush in it to get even a little bit of shimmer. The eye shadows do last a good five hours on your eye without a primer, so you can only imagine how long they last with a primer.The shadows are a good size, they're about the size of a regular MAC shadow if not bigger. If you were to get any of these shadows sepereately the price would be about $60.00 but this palette retails for $40.00 so you are definitely saving $20.00 which is awesome. Also, the packaging is just adorable, I love the red, white, blue, and gold. MAC always seems to have cute packaging for all of their collections. 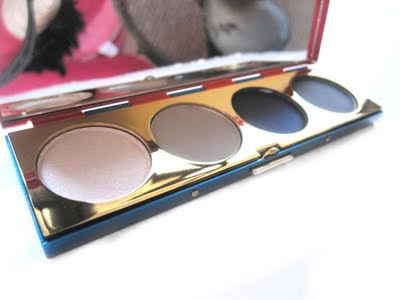 Overall, I think this palette is great because the colors are nice and pigmented except for the white, the price is good for all these shadows and it's just an adorable little palette. 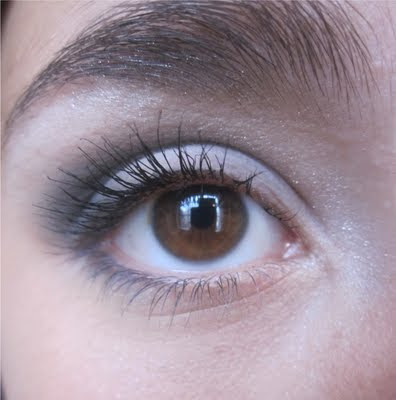 For the eye look I did with the colors, I did a natural everyday blue look but these colors can easily turn into a smoky blue look. I placed Insurmountable on my lid, Lady Justice in my inner corner and brow bone, Deep Truth on my outer corner and botto lash line and Bold Babe in my crease.